MB Heating Solutions- Reliable,friendly professional,trustworthy and value for money. 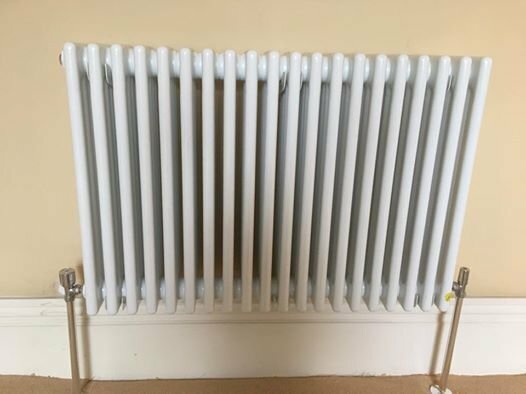 Our fully qualified heating engineers and plumbers work across Yorkshire carrying out full heating installations, boiler upgrades, plumbing repairs, bathroom fits and gas servicing. We also carry breakdown work and offer service plans..
We have a wide range of leading manufactures to choose from offering efficient and affordable boilers. We provide free no obligation quotes at competitive prices and can offer finance solutions/repayment terms through our finance partners. For friendly, reliable, value for money advice and service from a professional fully accredited company please give us a call. Give us a call on 01709 273 119 or 07850 231436, where we would be more than happy to help. Check out our Facebook page for more, customer reviews and information about my company. Friendly service from the start. Installed a new boiler in a new location. Did the work exactly as agreed and at the quoted price. A few minor issue were resolved very quickly after the install. A leak was located on installation of new washing machine and so I called out M B Heating Solutions on recommendation of Which. The service was excellent, leak resolved promptly and installation of machine. Michael also went over and above and organised my old washing machine for recycling. I wouldn't hesitate to recommend in future and have already pass on contact details to friends. Excellent service from initial enquiry to installation. Very highly recommended already followed up to check all is well. I had a new Combi boiler installed. All old equipment and debris taken away. I couldn't have wished for anything better. Came to do a Gas Boiler Service. Arrived when planned, personable guy, efficient and clean. Gave advice and suggestions to keep the system operating well without pushing for additional work. Would definitely recommend (as he was recommended to us!). Return customer. Excellent service as always. Highly recommend. Successfully fitted a new pump to central heating system. I have no hesitation in recommending' spot on. Good work undertaken. Would recommend.